Everyone who decides to use wood as building material is supporting CO2 reduction. During its growth, wood removes a huge amount CO2 from the atmosphere. It is even possible to build wooden buildings below 200 resp. 100 µ/m³ total-VOC emission (source). Only 1 spruce tree – one of the most important building materials – absorbs and stores up to 2 tons of CO2. If wood is used for buildings, the effect is extended beyond the life of the trees (source). 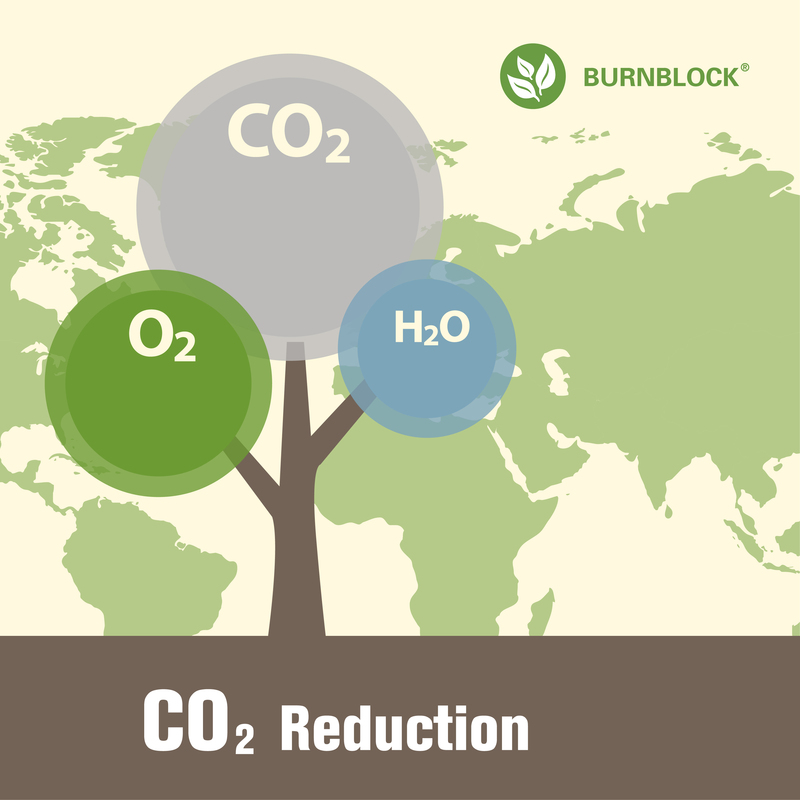 With Burnblock impregnated wood we are able to build more and multi-storey wooden buildings for making a contribution on the Co2 reduction.